عندما تزور هذه المدينة رائعة الجمال، ستشعر أنك في بيتك في Aabon Apartments & Motel الذي يقدم لك إقامة متميزة و خدمات عظيمة. يجذب هذا العقار ذو 3.5 نجوم، والذي يبعد 4.5 Km فقط عن وسط المدينة و 4.0 Km عن المطار، الكثير من الزوار سنوياً. سوف يعشق النزلاء موقع هذا الفندق، فهو قريب من أهم المعالم السياحية في المدينة . إن Aabon Apartments & Motel حريص على توفير الراحة للنزلاء، فلا يوفر الموظفون جهداً في تقديم أفضل الخدمات وضمان حسن الاستقبال. يمكن لضيوف الفندق الاستمتاع بالميزات التالية على أرض الفندق: واي فاي مجاني في جميع الغرف, خدمة غسيل ذاتية, متجر, خدمة التنظيف يوميًا, تخزين الأمتعة. ادخل إلى واحدة من الغرف 44 وتخلص من عناء نهار طويل بمساعدة مجموعة كبيرة من الخدمات كمثل تلفزيون بشاشة مسطحة, اتصال لاسلكي بشبكة الإنترنت (مجاني), غرف لغير المدخنين, مكيف هواء, تدفئة الموجودة في بعض الغرف. يقدم الفندق مجموعة رائعة من الخدمات كمثل حمام سباحة خارجي, حديقة، لجعل إقامتك تجربة لا تنسى. إن كنت تتطلع إلى إقامة مريحة وهادئة في المدينة، فستجد في Aabon Apartments & Motel بيتك الثاني. يُرجى العلم أن ساعات عمل مكتب الاستقبال تكون من الساعة 7.00 صباحًا حتى الساعة 8.00 مساءً خلال أيام الأسبوع، وتكون من الساعة 8.00 صباحًا حتى الساعة 7.00 مساءً خلال العطلات الأسبوعية. وفي حالة قيام النزلاء بتسجيل الوصول خارج ساعات العمل هذه، سيتم ترك المفتاح أمام مكتب الاستقبال. لن يتم قبول أي حجوزات بعد الساعة 6:00 مساءً. إذا قام النزلاء بتسجيل الوصول بعد ساعات عمل مكتب الاستقبال وكانوا يرغبون في تناول وجبة الإفطار، فيجب عليهم الاتصال بالعقار مباشرةً. لا توفر شقق السوبيريور فرنًا، بل توفر مايكروويف. 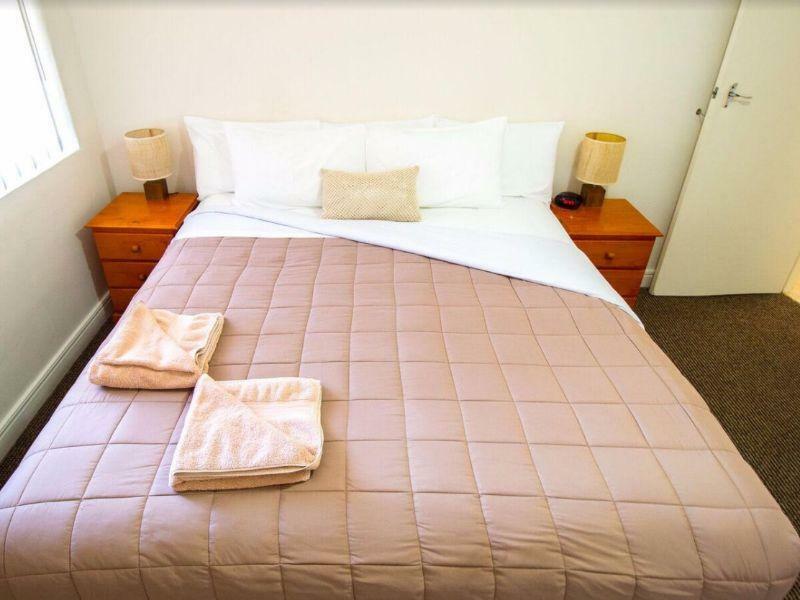 The staff are very welcoming and the rooms are well equipped, spacious and immaculate. I organised a partner company of the hotel to take me to the airport and they were equally kind, helpful and organised. 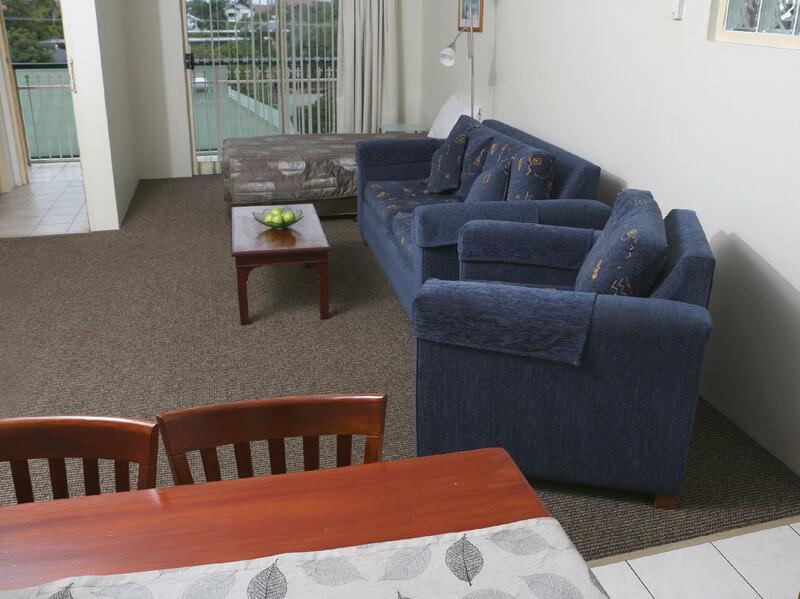 If you need somewhere close to the airport with a homely feel this accomodation is for you. Its not the newest, but very clean, well kept and maintained. Manageress Heather is a gem, helpful, cheerful, and nothing is a problem. 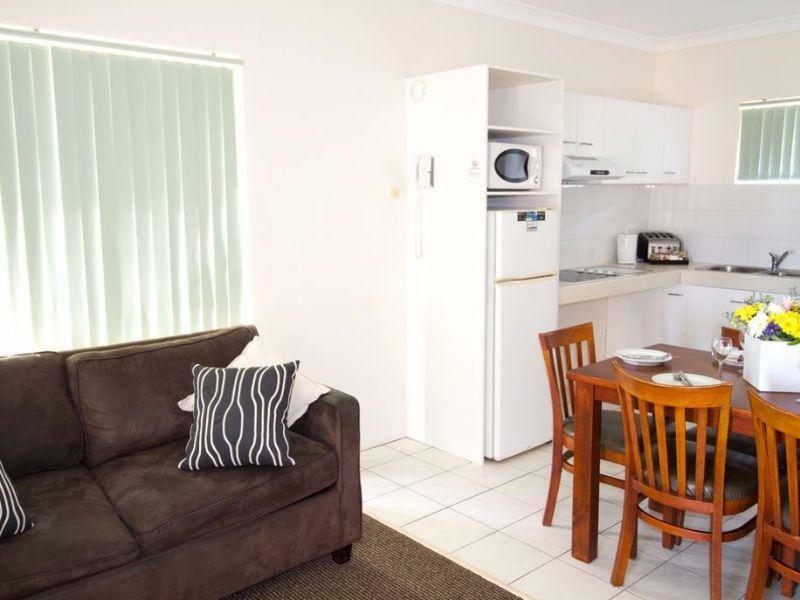 Great parking, good kitchen, very near and easy walk (even with lugagge) to Wooloowin railway station (2 stops from International Airport - buy ticket online at a big discount if at least 7 days ahead of travel). Perfect for airport overnight, yet not far from city either. Many TV channels (but not cable). Good fast free wifi. I stayed here during a 17 hour lay over, I arranged a shuttle bus through the hotel and found it was easy enough to get to the hotel. It's just a 10 minute drive from the airport. The room had everything I needed, microwave, fridge, tiny (TINY) tv, bed, bathroom. I liked it! Great little stop over to rest up before the rest of my journey. Indian takeaway restaurant right next door. Stayed at this motel the night prior to a plane flight. The reception staff were very helpful and gave a handout outlineing shops etc close to the motel. Very close to a supermarket and there is a good chinese restaurant next door. It was approx. 15 minute drive to the airport. 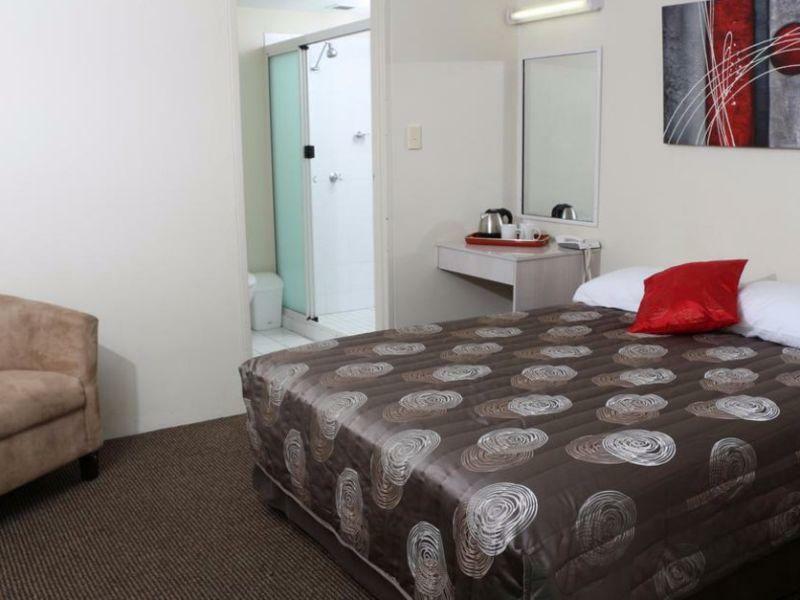 Will recommend this motel to friends going to Brisbane. The reception explained to us all about the hotel, attraction , restaurant near by. Clean Hotel. there is Malaysia Chinnese restaurant beside the hotel, good price and taste is good as the chef has won food competition. Hello Stuendy Thank you for your excellent review! :) Yes, we are very handy to the airport and now offer an Airport Shuttle service daily from 4:30am - 10:00pm. "Sam's Malaysian & Chinese" is definitely a good choice when you want a quick and easy dinner without going too far, especially when you can just walk 20 metres to get there. 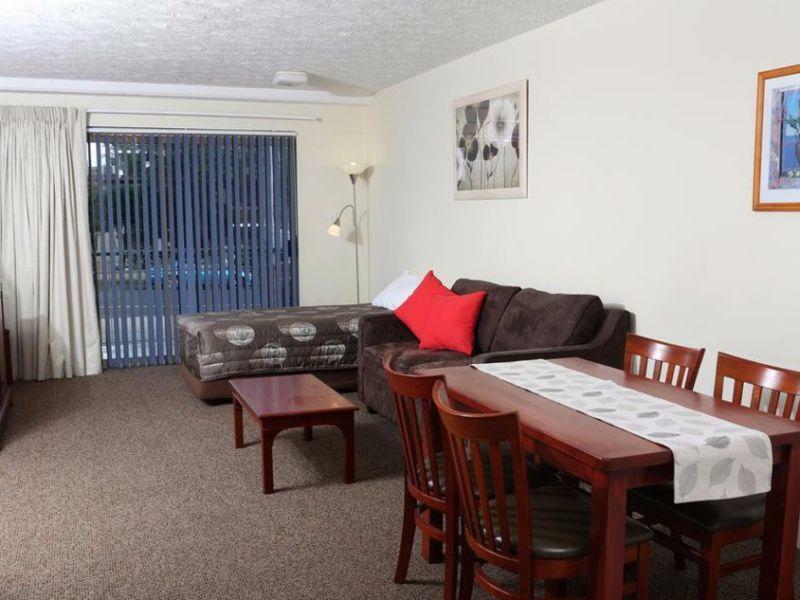 Of course, we are lucky to have many other restaurants and cafes within a 5-15 minute walk of our Motel. There is a lot to do and see in Brisbane, so we like to take the opportunity to inform our guests and give suggestions of our favourite places. As our Manager (Helen) grew-up in the area, she has a wealth of knowledge. Thank you again for staying at Aabon. We are very pleased that you had a pleasant stay. Kind regards Erika, on behalf of the Aabon Team. Cheap and cheerful for a family. Good proximity to the airport. 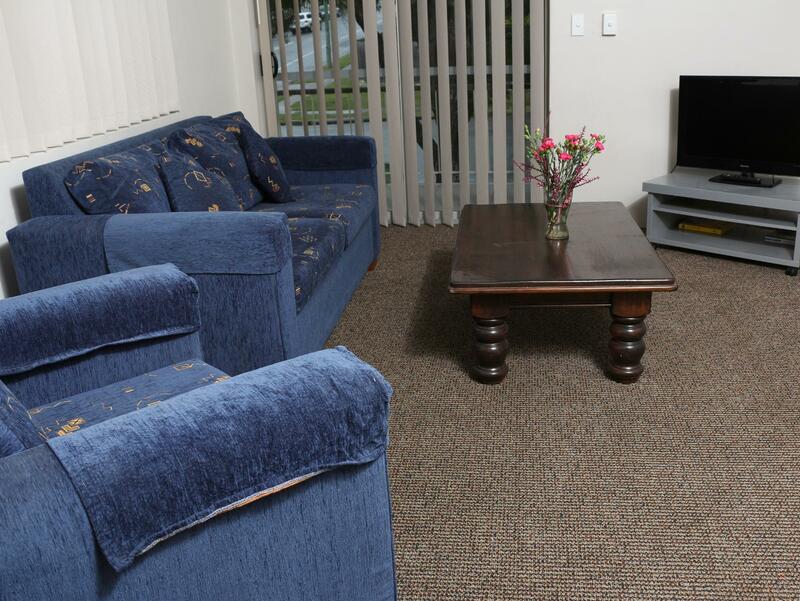 Its an older and basic property right out of the 70's however everything was clean with friendly staff. Excellent value for money for a family. Good self serve breakfast on balcony is a pleasant start to day ahead. We stayed there for one night only, arriving at 10pm and leaving at 9am. Room was clean and tidy, good facilities, and very nice staff. We drove there but the apartment is very close (200m?) to the train station as well. By the reviews on TripAdvisor and Agoda I did expect more! Two bedroom unit was dirty! Bathroom looked as tho it hadn’t been cleaned! Urine on the toilet seat and pubic hairs, at least half a dozen in the shower and on the bathroom floor! Just not acceptable! Was so so exhausted after a huge day travelling, just couldn’t deal with complaining, needed sleep! Couch stained and smelly. Furniture very old! The only saving grace was that the bed was comfy! Extremely noisy people staying nearby with yelling and fighting to 1am! Also lady on front desk was informative and courteous! All in all not a good experience! 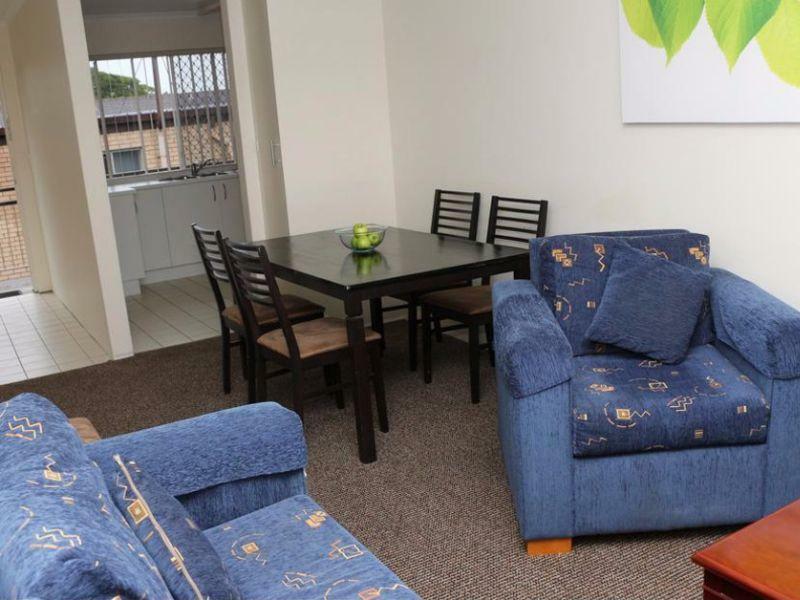 We only stayed at Aaron Apartment & Motel in a budget apartment for overnight after arriving at Brisbane airport in the evening. Helen ( manager) was very friendly and the apartment had everything we needed. Very clean and super comfy bed!! The WiFi works well ! It is very close to airport. Would recommend this apartment to everybody!! No lift, we need to carry all our luggage to 2nd floor. Stayed at Aabon as our last stop before heading home - close to the DFO, eat street, and a lovely breakfast as part of the deal!